CURTIS, Neb. 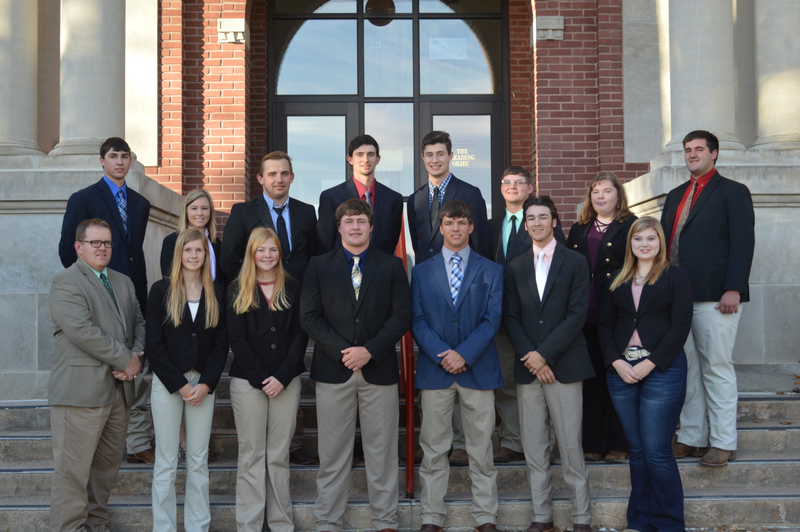 _ Livestock judging teams from Curtis kicked off their spring travel schedule with a season opener last week in South Dakota. Collegiate teams began their contest day January 26 at 6:30 a.m. at the Sioux Falls Convention Center. “There are great learning opportunities for these young people who are supported well from all industries in the state,” he said. Peyton McCord of Cairo placed 33rd overall, with Rachel Miller of Basehor, Kansas placing 23rd individual in the sheep and goats judging, and Grant Romshek of Shelby was 29th in swine evaluation. For the NCTA Red Team, Garrett Lapp of Adamsville, Ohio, tied for 12th place and Emily Riley of Norton, Kansas was 28th, both in beef cattle evaluation. They returned to campus ahead of their January 7th start date for the spring semester to “work out” at farms, livestock facilities and feedlots around the Curtis area. Smith said he appreciates the great support of producers and students’ families. The Wilke Family of Columbus and Fleer Family of Pierce fed the team meals Friday noon and Saturday evening. Tiffany Dickau, Elwood; Maisie Kennicutt, Wallace; Garrett Lapp, Adamsville, Ohio; Colbey Luebbe, Seward; Remy Mansour, Petaluma, California; Peyton McCord, Cairo; Rachel Miller, Basehor, Kansas; Will Moeller, Grand Island; Seth Racicky, Mason City; Emily Riley, Norton, Kansas; Grant Romshek, Shelby; Camden Wilke, Columbus; Dean Fleer, Pierce, and Nathan Lashley, Curtis, assistant coaches.